Union is one of my favorites place to go. I used to hold big brunch event for my clients monthly and Union is my one of my top choices. Even when it’s not for event, I went to this place at least one or twice a week just for lunch or spoiled myself with delicious red velvet cake and coffee. The food is fantastic and the service is awesome. I couldn’t complain. So, on my short trip to Indonesia, I made a stop here to grab lunch during my hectic schedules and enjoying myself. Surprisingly they still remembered me. They asked, they havent seen me for quite a while. I told them that I’ve been living in the Netherlands for 2 years that’s why I havent been dining here. 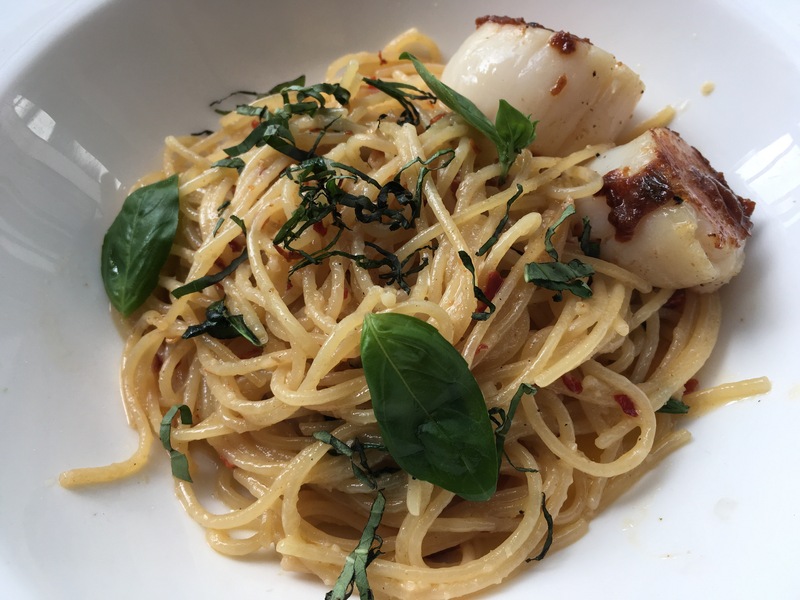 As usual I choose pasta aglio olio with scallops for my lunch. It was always perfect portion and it tasted delicious. 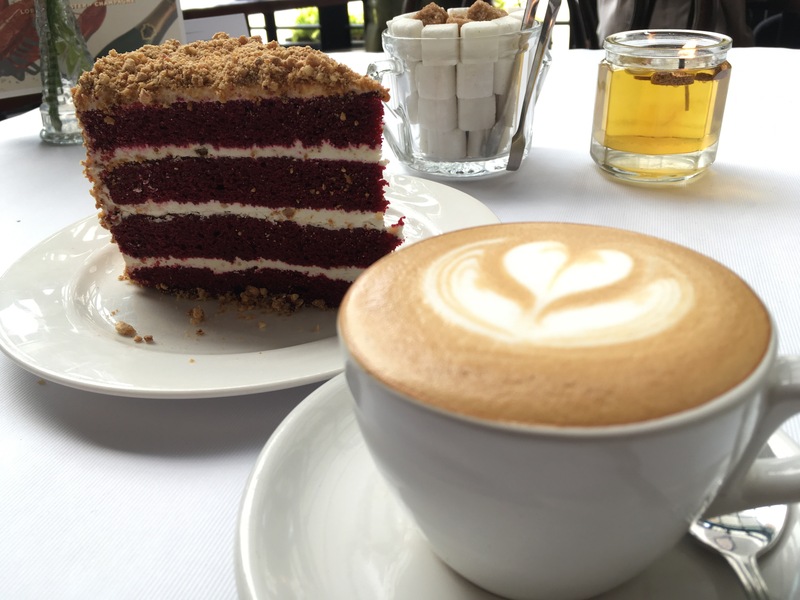 For dessert, I choose their specialty, the red velvet cake and cappuccino. OMG… heaven on earth! What a day… Full tummy, happy me.